Online searches can be divided into three categories: navigational, informational, and transactional. Understanding how to create content for each type is key to boosting your digital performance. Understanding how patients search for health-related topics can help marketers build efficient, cost-effective SEO campaigns. Each time a user types a word or phrase into a search engine, they are looking to find specific information about an industry, product, or service. Search engines respond by generating results based on what they believe a user’s intent is. Online searches generally fall into three categories of intent: navigational, informational, and transactional. Medical marketers can use their understanding of patients’ intent to increase traffic and conversions by catering their content to each type of search. When a user conducts a navigational search, they are looking to visit a specific website, or even a particular page on that site. For example, if you type “Facebook” into the search or navigation bar, you’re generally looking to go directly to the Facebook homepage. Navigational searches offer the brand being searched the opportunity to shine. Ideally, your hospital or medical practice should appear in both the top organic and top sponsored results in a search for your name. To ensure that you rank highly in this area, you want to build up your site’s credibility and use branded keywords to drive clicks. Marketers may also be able to take advantage of navigational searches for other hospitals or practices. 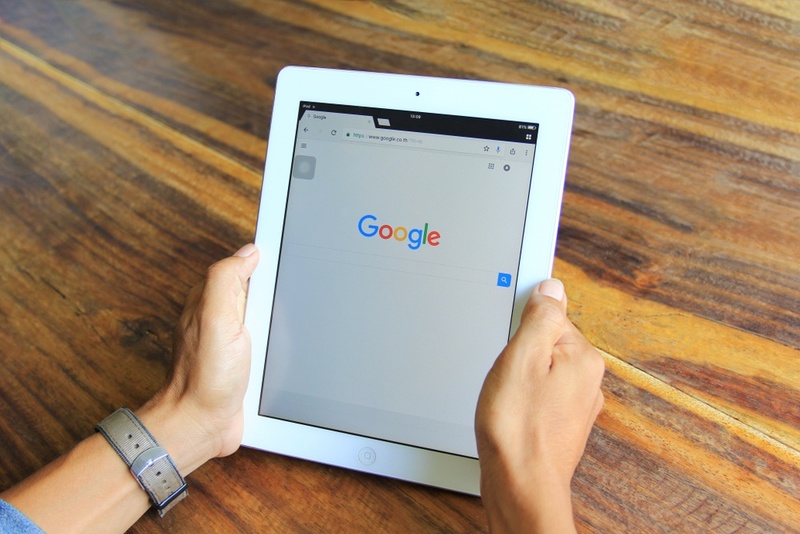 Paid search and organic listings can help your practice show up alongside other businesses, where you can build brand awareness and potentially redirect traffic from competitors. The goal of an informational search is to learn more about a particular topic, like “types of diabetes,” for example. These searches are high in volume and present opportunities for nearly all businesses. The best way to target informational searches is to create high-quality content that shows off your expertise, such as informative blog posts, instructional videos, and helpful infographics. This content should be SEO-rich to drive users to your site. Once you’ve positioned your practice as an authority on a particular topic, you can build brand awareness and attract new patients. Marketers may also want to use informational traffic to generate leads. You can capture visitors’ contact details by offering opportunities to download free guides or subscribe for email updates. A transactional search indicates a user’s intent to complete a transaction, such as make a purchase or schedule an appointment. Unsurprisingly, a search like “varicose vein treatments New Jersey” is incredibly valuable for medical practices and healthcare providers. Transactional searches have the most potential to deliver ROI in paid search, and sponsored ads are just as likely to perform as organic results. Since sponsored results take up so much space on this type of search, marketers should consider using pay-per-click (PPC) and Google AdWords to target relevant search terms. One effective way to do this without overspending is by targeting the right long tail keywords. Long tail keywords are specific terms or phrases — such as “thoracic surgeon in Houston” — that indicate a user is close to the bottom of the funnel. Once your practice has identified the right keywords to capture transactional searches, you’ll want to make sure that patients can easily complete their goals when they visit your page. Check that your site is easy to navigate and mobile-friendly in order to keep patients engaged and drive conversions. You may think you have a clear idea of patients’ intent and how to develop your SEO strategy to fit their needs. However, if the intent of your content is different from the intent of the search term, patients will likely be frustrated and abandon your site. That’s why it’s important to get an outside view by doing a Google search on a potential keyword. By carefully reviewing the results, you can learn how Google identifies the intent and use this to refine your strategy. You might find that what you assumed was a transactional search is actually an informational search, and adjust your content accordingly. Creating content that ranks highly and generates results requires an in-depth understanding of user intent. Once you know what a searcher is looking for, you can build an effective strategy using SEO keywords and PPC. Patients who find that their questions are being answered and their needs are being met are more likely to visit your site and follow through on your call to action.